Comments: Very fast growing tree that produces fruit that the birds love. Considered a trash tree by many people. 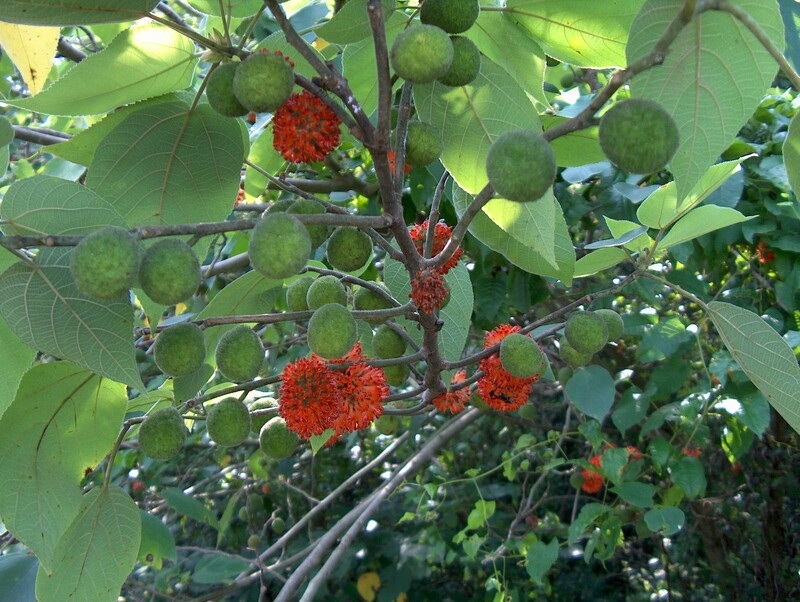 Prolific self-seeder; volunteers are plentiful near a fruiting tree. Young trees produce three leaf shapes-- two lobes (mitten-shaped),three lobes and no lobes. Fine fuzz (pubescent) is present on the leaves and the stems. Not particular about where it grows --will basically grow anywhere.